It has not been long that Lamborghini unveiled the Aventador’s successor, christened as the Aventador SV and SVJ. However, recent reports that have surfaced might have brought out more details regarding the upcoming 759hp car which will replace the Aventador on sale now. The Italian company which currently thrives under Volkswagen is likely to be transferred from Audi to Porsche and is strictly motivated towards better sales performance of the company, an Automobile report on Friday stated. Reports suggest that the transfer is aimed at curbing cost which might include the sharing of platforms between the two sports premiere. 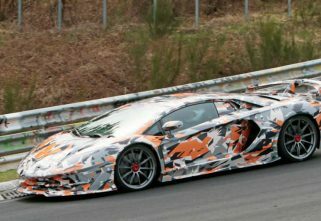 As for the upcoming Aventador, the car would not be affected by the transfer being too close to the launch. 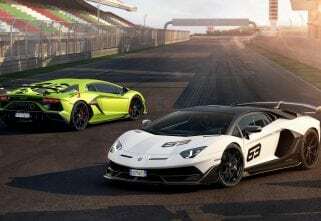 The new car will sport Lamborghini’s own carbon-fibre monocoque while the body will feature a wedge-shaped accented with signature Lamborghini ‘Y’ motifs. Reports suggest that upcoming car will also step into the hybrid EV segment with a plug-in powertrain mated to a V12 engine. Automobile reports state that the company has integrated three electric motors into the powertrain alongside the V12 engine that would pump out a combined power of around 1200 hp. Two of the three front motors is expected to be on the front axle to aid handling and support an all-wheel-drive system. 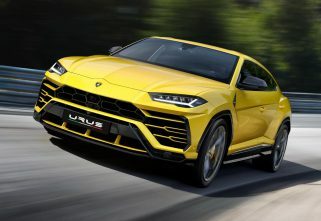 Apart from the Aventador’s successor, reports state that the company is also working on Huracan’s successor, which the company wishes to build with the same carbon-fibre monocoque as seen on Aventador’s successor. However, with the transfer from Audi to Porsche, the new upcoming Huracan would sport a platform that Porsche has been developing for quite some while now. The said platform in the upcoming Huracan will not only support a hybrid powertrain but would also support complete electrification. This, however, can also be expected on the upcoming generation of R8.